The weather is finally cooling down in Dubai; which - unlike the general terms - means residents of the desert city can stop hiding indoors, and start planning their barbecues. The desert city comes to life at winter, when residents can enjoy parks, camping, safaris, and other outdoor activities like: barbecues, outdoors cinemas, karting, and with nots. If you’re opting for good food, live music, and laid-back vibes that the whole family can enjoy, head to this British restaurant located in the Lakes community. This place has both indoor and outdoor seating (we do prefer the outdoor) with a dedicated kids play area. One of the most popular parks in Dubai; Zabeel Park is the perfect picnic destination. The kids can enjoy spacious green areas, while the older ones fire up the grill for a BBQ. This park also has a floodlit cricket pitch, and a lake where one can go sailing. Now these are two must-visit places. Walking into both gardens feels almost like stepping into a painting. Both gardens feature kids play area, they’re both located a little bit away from the city center, but in the same place, which means you can visit both in one day. Enjoy nature at its best at this place, especially flamingos! This hotspot attracts millions of tourists each year, and is a must-visit for residents. Pack a breakfast or lunch, and head to Ras Al Khor. Don’t worry about the money, it’s free of charge! Pay a visit to Zabeel Park on a Friday, and enjoy the Ripe Market with the family. 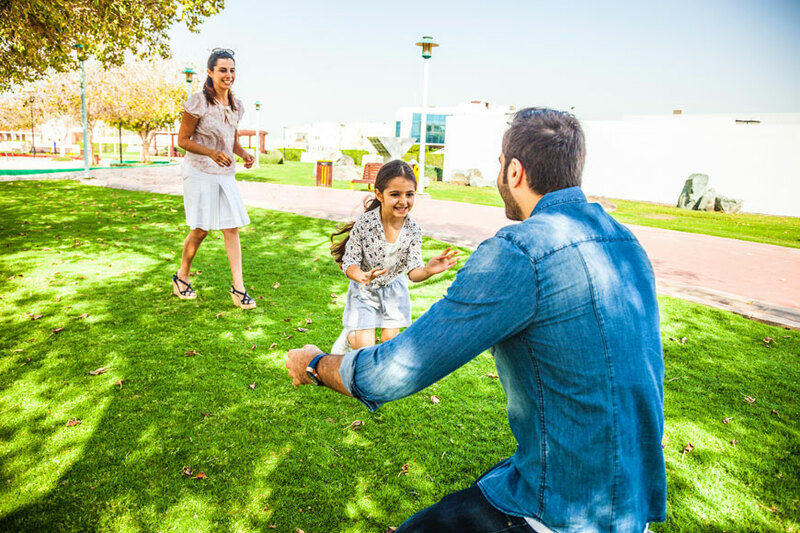 Your kids can enjoy the green spaces, play areas, and delicious food, while you treat yourself with some fabulous shopping.